such as those who need more information? One option to find some "ready for ordinances" status is to use the "Opportunities" link in the temple menu at familysearch.org. A more comprehensive way is to download your family tree and then categorize the names by status with a computer program. 1. First, download the free program Roots Magic Essentials. 2. After installation, click on the option to Create a New File. 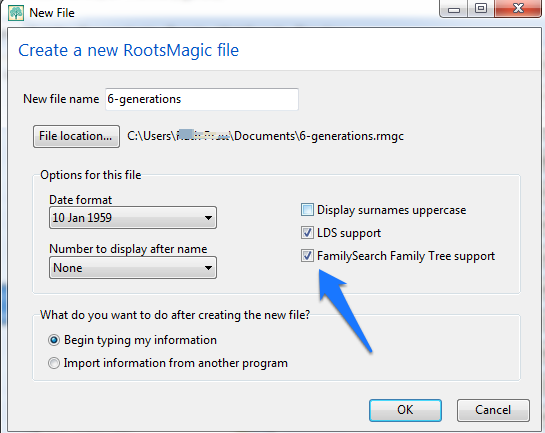 "FamilySearch Family Tree support" when naming the file. 4. Click on the Family Tree button in the top menu. Alternatively find "Family Search Central" in the File menu. 5. Log in and click "Import". 6. Lower the number of generations to import. Perhaps 6 or 7 generations. 7. You may have to close the Family Search Central section after it is complete and then re-open it. 8. The program will automatically categorize the members of your family tree by status: green is "Ready" for temple ordinances and yellow is for "needs more information". 9. After clicking a link, you will be taken to a list of names in that category. 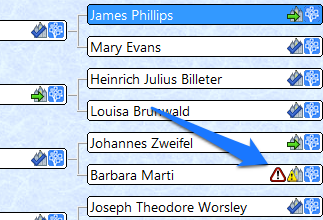 On the "Share Data" tab, you will see a button "Show on FamilyTree" which will take you to the corresponding FamilySearch page for the selected person. 10. 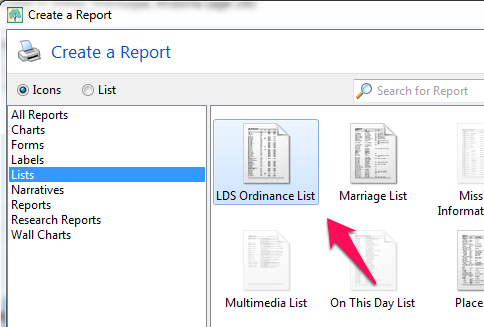 Another option is to visit the Reports menu and select the LDS Ordinance List. This list will show blank spots where ordinances are still needed. If you would like the FamilySearch ID to show up in this list by the name, use the "Tools" options to select "File Options", then select "number to display after name" in the General settings. 11. Another option is to scan the Pedigree view, which will list temple ordinance status right by the name.